When thinking about Attention Deficit Hyperactivity Disorder (ADHD), most people picture a hyperactive child in the grocery store, a disruptive kid in the classroom or a child who takes longer than necessary to finish a homework assignment. But what you may not realize is that while ADHD affects millions of children, it is also a disorder that affects approximately 8 million adults. Although many people tend to think of ADHD as a childhood disorder, up to 80 percent of children with ADHD will exhibit symptoms into adolescence and up to 65 percent of children will continue to exhibit symptoms into adult. Adults with untreated ADHD may be perceived as "scatterbrained," "disorganized" or "lazy," but what many people are unaware of is that ADHD is an impairing neurological disorder, not merely an organizational or behavioral problem. While there is no single objective test to determine children or adults with ADHD, "Scattered Minds" includes a simple self-screener, adopted by the World Health Organization that helps the reader assess whether they have symptoms of ADHD. Dr. Adler urges readers to fill out the screener and bring it to their physician for a formal evaluation. Although there is no "cure" for ADHD, there are accepted treatments that specifically help patients control its symptoms. In his book "Scattered Minds," Dr. Adler explains that the most common treatments include educational approaches, psychological or behavioral modification, and prescription medication. Adults with untreated ADHD may experience greater risk for lower educational and occupational achievement, problems in relationships with family and friends, and greater risk for driving accidents and traffic tickets. Adults who have not been treated for ADHD are 50 percent more likely to be unemployed as well as twice as likely to smoke cigarettes. "Scattered Minds" reveals the previously unrecognized signals for adults who suspect they may have ADHD and underscores that ADHD is a very real and accepted medical condition. Adults with ADHD may have greater difficulty dealing with everyday problems when compared to their peers and may even face challenges in their personal lives and careers that their peers do not encounter. If you suspect you or somebody you know may have adult ADHD, pick up a copy of "Scattered Minds" and take the simple screening test. How to recognize ADHD among adults? Adults suffering from ADHD can have difficulties in winding up a project or a given task once the difficult part of the project is completed. The individual has trouble in the organization and time management necessary for a project or a task. 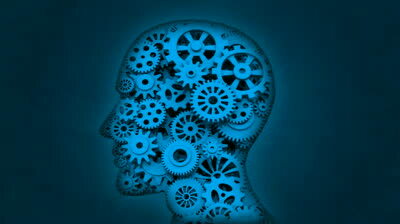 A person suffering from ADHD tends to forget his appointments and obligations. An individual suffering from ADHD has trouble in sitting in one place for a long time and fidgets and squirms in his seat if he has to do so. Sometimes he gets so hyperactive that he tends to do things very fast and without much thought behind it. The symptoms and signs listed above are only some of the potential signs of having ADHD. However, adults with this behavioral disorder do not have to worry too much since help is available. The first step to overcoming this disorder is to learn more about ADHD. Understanding what it is and the challenges that the person might face can make a huge difference. Adults with ADHD can seek support from professional therapists and psychologists who offer mental health services. These professionals are trained in treating this behavioral disorder.